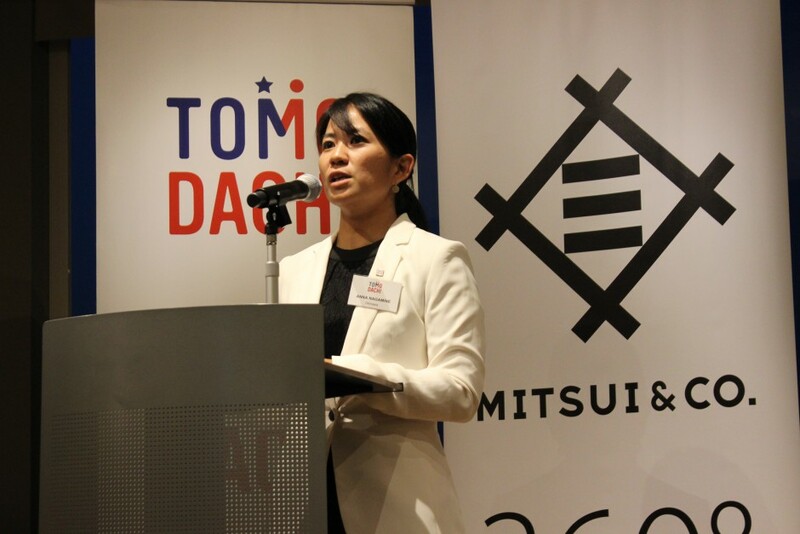 On July 7, 2017, a closing reception for the American delegates of the TOMODACHI-Mitsui & Co. Leadership Program was held at Roppongi Hills Club in Tokyo. Made possible by generous support from Mitsui & Co., Ltd, the program provides ten American and ten Japanese young professionals from the public and private sectors with the opportunity to travel to each other’s countries for one week. During the program, the participants engage as a group and meet with established and up-and-coming leaders from business and government. 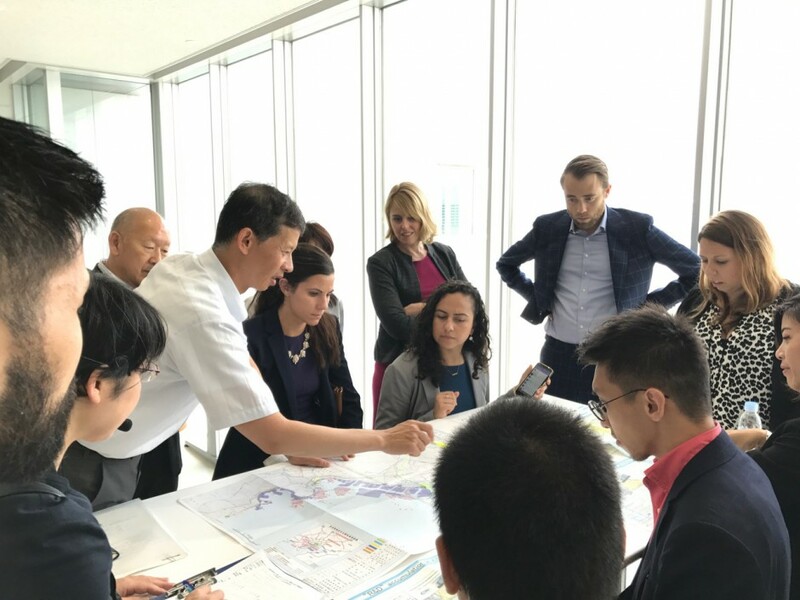 Now in its fifth year, the program sent the American delegates to Iwate Prefecture to gain valuable insights and perspectives on the ongoing revitalization efforts in the tsunami-affected areas of the coastal cities Rikuzentakata and Kamaishi. They also met with government officials and community leaders in the public and private sectors, including Governor Takuya Tasso. The journey continued in Tokyo where the American delegates engaged in meetings with business and government leaders aligned with program’s pillars of “Innovation, Entrepreneurship and Leadership.” The delegates also met their ten Japanese counterparts, who will embark on their trips to Houston, Texas, and Washington D.C. in September. Approximately 100 people attended the reception, including executives from Mitsui & Co., Ltd, representatives from the Government of Japan and the U.S. Embassy, representatives from the supporting organizations, Japanese and American young professionals, and U.S.-Japan Council representatives. The guests gathered to recognize and celebrate all delegates in the 2017 program. For the American delegates, the reception marked a capstone to their trip in Japan. The reception kicked off with remarks from the following speakers: Mr. Scott Sato, a member on the Board of Councilors for the U.S.-Japan Council Japan and President and COO of Pasona Inc.; Mr. Satoshi Tanaka, Executive Vice President at Mitsui & Co., Ltd.; Ms. Margot Carrington, U.S. Embassy Minister-Counselor for Public Affairs; and Ambassador Masaharu Kohno, Government Representative of Japan and TOMODACHI Initiative Senior Advisor. 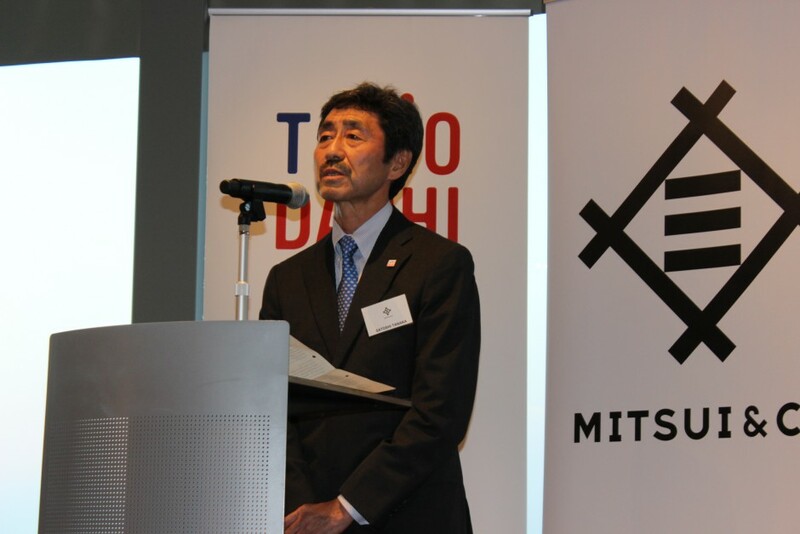 Mr. Satoshi Tanaka said to the delegates, “Your participation in this program assures an enduring commitment to build a sustainable future together. To me, leadership is about discipline and responsibility, and I am quite sure that all the participants will always act with the sense of purpose, embrace changes, and continue to expand their horizons.” Ambassador Kohno shared his own personal story of attending the G8 Summit in Japan on that same date 9 years ago, which also happened to mark the Japanese traditional “Tanabata” day, and offered a toast for everyone’s wish to come true on this special day. Later in the evening, one Japanese and one American delegate made speeches on behalf of their respective delegations. Japanese delegate Ms. Anna Nagamine, Manager of Business Development Section, Technology Development Center at Okinawa Institute of Science and Technology (OIST), said in her speech, “Listening to the American delegates’ presentations and feedback from employees at Mitsui & Co., I was so inspired by their open minded leadership. To my American delegates, we’ve learned so much from your attitude to learn and be open.” American delegate Ms. Rebecca Cowle, Outreach Manager for Texas Central Partners, LLC, described the trip as a humbling experience, especially learning about the Japanese concept of community. The program continues as the Japanese delegates visit the United States from September 10 to 18, and will participate in various site visits and programs. They will also develop different points of view by making new cross-cultural people-to-people connections. 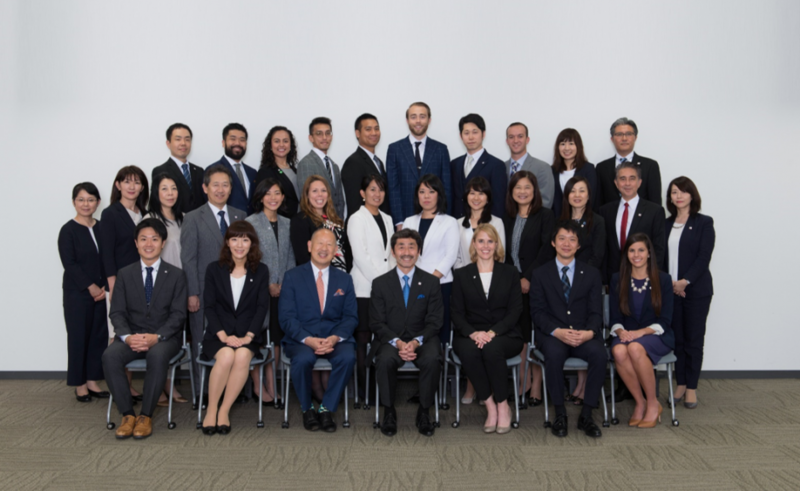 The alumni from the program continue to inspire each other as leaders of the next generation contributing to the prosperity and economic vitality of the U.S.-Japan relationship.